A keynote speech by Culture and Comms Minister Ed Vaizey at the Go Digital conference had been billed for weeks as “D-Day” for UK radio. But in the end, Vaizey kicked the DAB can down the road, setting no new date for a switchover from analogue to digital radio, nor any new threshold for such a switchover. Vaizey thus avoided becoming the Dr Beeching of radio - the man who made millions of FM radios obsolete. Can you blame him? Vaizey did make a few noises to appease the most powerful DAB interests, which include the biggest commercial radio operators, two technology companies - Imagination and Frontier Silicon - and the transmission giant Arqiva, which owns the commercial nationwide multplex Digital 1. As expected the Government will create a second commercial multiplex ‘Digital 2’ - even though the existing Arqiva-owned commercial multiplex Digital 1 is hardly congested. Digital 1 resembles a graveyard whose tombstones bear names such as ITN, Bloomberg, NME, Capital Life and the unforgettable Radio Birdsong, for example - all dead DAB stations*. Earlier this month JazzFM became the latest nationwide DAB broadcaster to withdraw from the national DAB multiplex, although it will continue to broadcast digitally in London. Absolute made Classic Rock and its 1960s stations go local in a similar decision in April. Capacity constraint isn’t the problem. It’s the cost of operating a DAB commercial station - either locally or nationally - when there aren’t enough listeners to support the business case. The carriage cost alone of a nationwide DAB commercial station is £1.2m, according to industry sources, and that’s before you’ve made a single program. This transmission fee was what made JazzFM and Classic go local. The £1.2m is pocketed by Arqiva, a Bermuda-registered corporation whose largest shareholder is a Canadian pension fund. And locally, the picture isn’t much prettier. One source told us the cost of broadcasting a 128kbit/s MP2 stream is 16 times higher than broadcasting the same material via FM. Yet OFCOM structures its licences so that if as a radio station you don’t commit to DAB, they’ll remove your FM licence. Cost estimates for expanding DAB coverage to meet a target of 97 per cent UK coverage range from £100m (the figure from Arqiva) and £1bn. That puts today’s figures in perspective. The BBC pledged £7m and the commercial sector is believed to have pledged a similar amount. How much the taxpayer is being asked to contribute isn't yet known - we'll find out - and may be constrained by EU rules on state subsidies. All in all, it's likely to be far short of what’s needed to reach parity with analogue coverage. In the three months to September, FM’s share of listening increased (to 61.1 per cent). while DAB’s fell (to 23 per cent). Vaizey’s speech failed to provide the shot of adrenaline to the heart the now-aging technology needs. Industry giants were left wishing for the moon on a stick. “We think it would be great if the BBC made Radio 1 or Radio 2 DAB only!”, Paul Keenan, Bauer CEO told the Go Digital festival, after Vaizey had left. No doubt - but there’s not much chance of that any time soon. 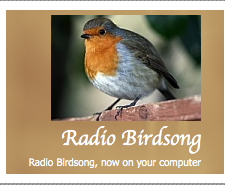 *You can find Radio Birdsong online. Perhaps it will be the Jewel in the Crown of Digital 2? Let's hope so.